The population of the European Union was 510 million on January 1, 2016, up from 508 million a year earlier, Eurostat said on Friday in a first estimate. 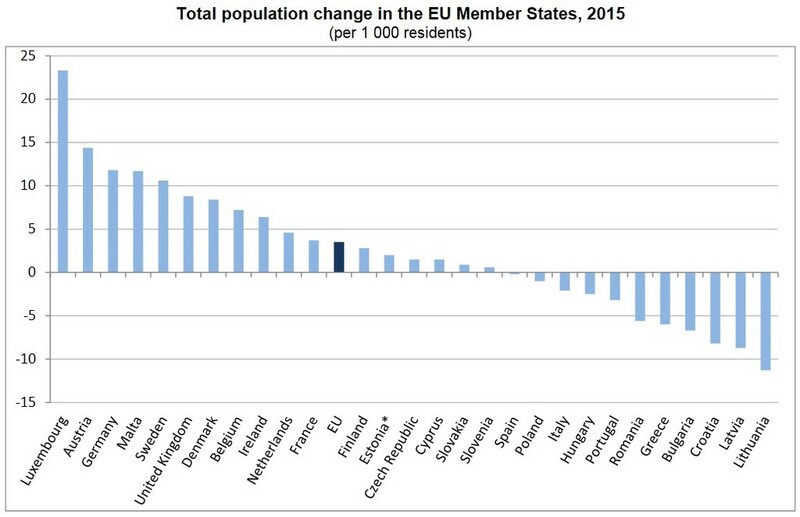 The increase, however, was entirely due to immigration as the EU recorded, for the first time ever, a negative natural change of its population. 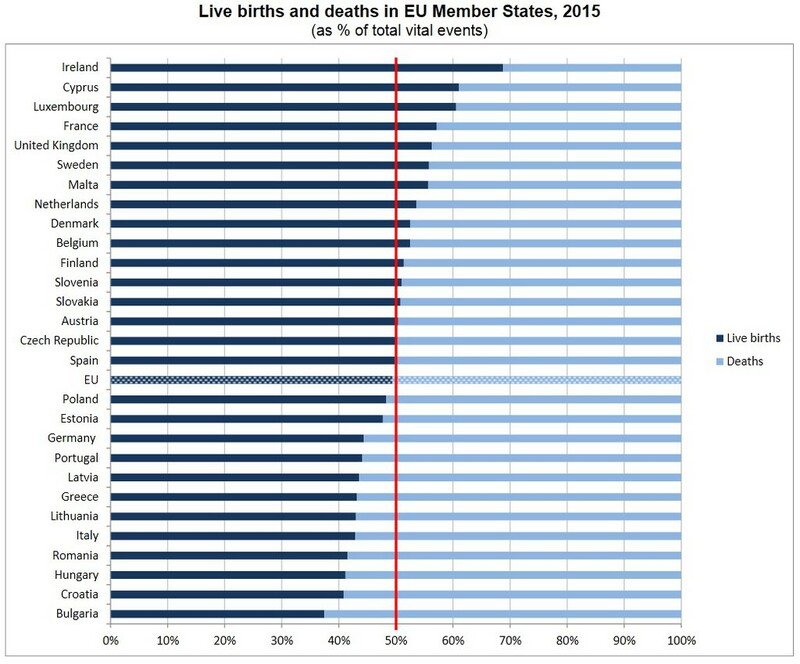 Hungary was second worst in this respect out of the EU's 28 member states, with only Bulgaria having a faster natural population decline. Population grew in 17 out of 28 member states, with the highest increase registered in Luxemburg (2.33%), Austria (1.44%) and Germany (1.18%). The other end of the list is populated with the Baltic states, the CCE region and countries on the periphery, with the top three declines seen in Lithuania (1.13% drop), Latvia (0.87%) and Croatia (0.82%). Hungary lost 0.25% of its population in 2015, making it the eight fastest declining nation in numbers. During 2015, nearly 5.1 million babies were born in the EU, down 40,000 from a year earlier, and there were slightly more than 5.2 million deaths registered, 286,000 more than in 2014. This means that for the first time in the history of the EU, its natural population change was negative. Natural population growth was highest in Ireland (0.77%), Cyprus (0.39%) and Luxemburg (0.37%). Hungary tied with Croatia for second fastest negative growth at 0.4%, only preceded by Bulgaria (0.62%) in this respect.